On November 7, Facebook announced a new change that would make it easier for users to unfollow friends and pages that overwhelmed their feeds. Well, not all marketers. I’ve actually seen an improvement in terms of marketers taking a level-headed approach to changes. But that could also be because so many of the crazies have already jumped ship. But make no mistake, there are plenty of crazies around. Facebook remains the biggest show in town, both for users and marketers. As a result, it seems no change can be released without a bit of controversy. 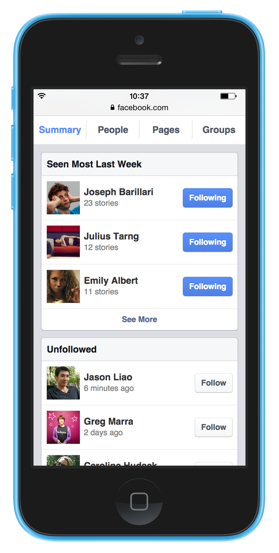 First, Facebook has a new feature that will highlight the people, pages and groups you saw the most in your news feed during the past week. If you think that person, page or group is annoying, you can easily unfollow it. As a result, you’ll still like the page, friend that person or be part of that group, but you won’t see them in your news feed anymore. Immediately below that list of active people, pages or groups is a list of those you have already unfollowed. This is Facebook’s way of resurfacing the spurned girlfriends with a “Are you sure? I’m still here if you want me!” message. 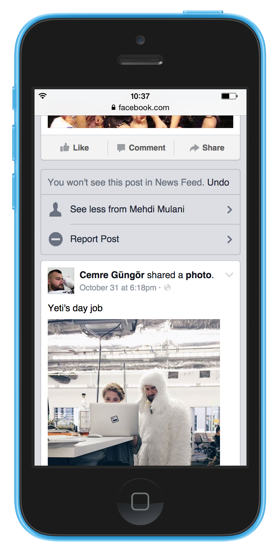 Additionally, if you see a story in the news feed that annoys you, click the arrow at the top right to “see less” from that source. You could then unfollow them, report them or check out those news feed settings of those you’ve unfollowed recently. It’s tough to say. Quite clearly, you shouldn’t be annoying. But that’s always been true. Still, being annoying could have more immediate consequences now. In the past, a “fan” may simply endure your garbage. They wouldn’t act on your posts anyway. But they wouldn’t unfollow you. But now, it becomes much easier to unfollow you. And that could ultimately mean you’ll reach even fewer of your fans — at least even fewer of those who thought you were annoying. This is all in theory, of course. If you think something is annoying, it seems odd that you’d see much of that content in the first place. If news feed works the way it should, it’s tuned to how you interact with the people, pages and groups that bring you content. But this is something to watch. Beyond simply making sure you aren’t annoying, frequency is suddenly highlighted as a potentially bad thing. So — in theory — you should be more careful now about how often you post per day. I say “in theory” for a reason. Facebook is giving users the power to more easily see less from sources they don’t care about. So if they don’t care about you, what are you really losing — other than misleading, fluff numbers? There’s this inherent conflict in the system, though. Are we trying to optimize News Feed to give each person, all of you guys, the best experience when you’re reading? Or are we trying to help businesses just reach as many people as possible? And in every decision that we make, we optimize for the first, for making it so that for the people that we serve that use Facebook and are reading News Feed get the very best experience that they can. If Facebook crafts the news feed to appease brands — at the expense of user experience — users will see less of what they actually want to see. They will engage less with content. They will become bored. And they will spend less time on Facebook — while some will abandon it altogether. If users spend less time on Facebook, there are fewer users to view organic posts from brands. There is less data to target via ads. There are fewer users to reach with those ads. And ultimately, there is less money for Facebook to make. That’s the long game, of course. Facebook needs a highly engaged, growing audience to continue to profit into the future. Too many marketers think in terms of the short game. They think about what impacts them now instead of how this affects them long-term. If the user experience suffers, Facebook becomes less attractive to brands, marketers and advertisers. Facebook suffers. If the user experience is good, it remains a gold mine. Facebook prioritizes what’s good for users over what’s good for your business, and you know what? That’s a good thing. But… This is Gonna Kill My Numbers! You’re so, so short-sighted if you see this as a bad thing for your business. If you focus on the wrong numbers, yeah. You’re pissed. If your key performance indicator is reach, you’re kicking up sand. But Facebook doesn’t care about your reach, and neither do your fans. You should be looking at far more than reach. You should be looking at the website traffic you drive, the email addresses you collect and the sales you make. The problem is that so many marketers have focused on hollow numbers. They buy likes or run promotions that only pad a number without improving profit potential. They create fluff content that is aimed at gaming the system rather than appealing to the potential customer who matters. What you built looked good from the outside. You were proud of it. But you built a house of cards. What’s Your Reach on Twitter Again? 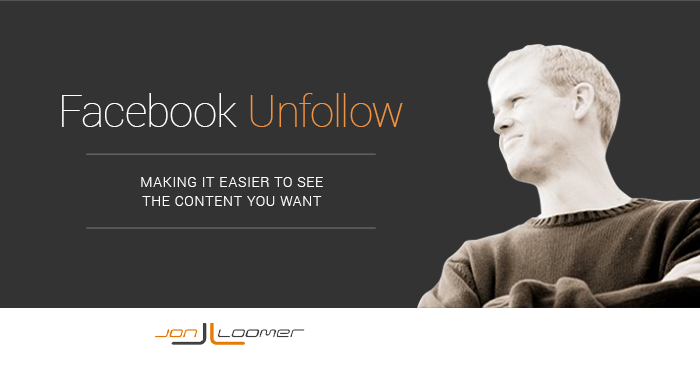 Changes like this one could impact reach because it increases the likelihood that a user who likes your page won’t see your content (in this case because they unfollowed you). So we can expect the continued overemphasis of this metric. 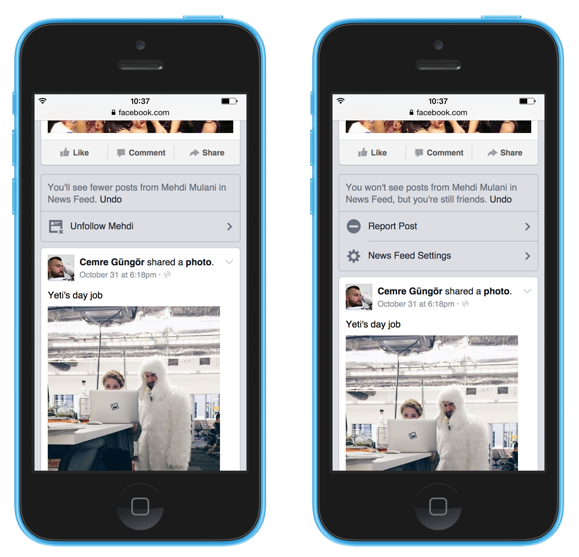 Reach is controversial for only one reason: Facebook tells you what it is. I’ve read that Facebook pulled a “bait and switch” by promising to remain free forever, but then requiring brands to pay to reach everyone. I find this so ridiculous. You could never reach everyone. You never will. And as more and more users and brands flood Facebook, it was inevitable that you’d reach a smaller percentage of people — filtered or not. An unfiltered feed would not be good for you. It would be worse. It would be Twitter. While I like and use Twitter, it’s no mystery that Twitter is less popular than Facebook. And with an unfiltered news feed, growth and usage on Facebook would decline. I know those with torches and pitchforks won’t acknowledge this, but a filtering system that surfaces content to those most likely to want to see it is a good thing for you. An unfiltered news feed would be freaking madness. There are now well over 1 Billion users on Facebook. More than half are there every single day. Every marketer and their mother is there trying to reach them. If that feed were unfiltered, you wouldn’t reach more people. You wouldn’t. That boring post of yours would get buried in 30 seconds. Yes, your reach has dropped a lot during the past few years. But we were also really freaking spoiled before. We’re still spoiled now, and we don’t even know it. Do me a favor and send a tweet to your 5,000 bot and auto-dm followers on Twitter. How many of them actually saw it? What the angry marketer fails to understand is that Facebook isn’t out to screw you. You’re not the only one being filtered. Users and groups get filtered, too, surfacing ANY content that is expected to be most interesting to the user. Facebook needs the user to be interested. They need the user to be engaged. And given the continued growth and trending time on site, how can we argue that the way they’ve surfaced content is wrong? If users were pissed that they weren’t seeing the posts they want to see about brands, there would be a negative impact in usage. There hasn’t been. It’s been the complete opposite. The fact that Facebook is constantly tweaking to make sure users are seeing the most engaging content possible is not reason to revolt. It’s reason to invest for the future. Yes, the number of fans matters. It still does. It really, really does. But more than ever, it’s the quality of those people that matters most. Do they care about your content? Do they click? Do they engage? Do they lead to business? This also goes both ways. Your quality matters just as much. Just because someone liked your page doesn’t mean you are obligated to spam the hell out of them with boring crap and complain when you don’t get results. It may be time to post less frequently. But most importantly, you need to post content that people actually care about. I’m looking at you, click-baiting, cat meme brand. It’s time to start focusing on quality posts instead of finding the latest way to game the system. Those who have been doing things the right way for years now can read this post without worry. You don’t game the system. You built an audience that cares about your content. You focus on providing value to your target audience so they’re begging for more. But the rest? Get cracking on a new strategy. You’re gonna need it. What do you think of these updates? Let me know in the comments below!